Dr. Tom Lunsford is the Operations Director for the African Strategic Discipleship Movement received his doctorate in Veterinary Medicine and has served as a missionary with SIM in Ethiopia for the last twenty years. Along with his wife, Ramonda, he served in a folk-Muslim area of Ethiopia for ten years, discipling and training rural church leaders and pastors. He also served in the capacity of SIM Ethiopian National Director where he began the discipleship relationship with Esayas Ersabo and the Ethiopian Kale Heywet Church. Tom has a passion for discipleship and seeing true, organic discipleship multiply among churches and pastors. Tom is actively involved with a discipleship initiative with SIM and national church partners called Evangel Disciple Coaching Ministry (EDCM) in Angola, Malawi, Zimbabwe, Zambia, and Bolivia. Tom currently lives in Houston, Texas and is mobilizing discipleship initiatives both in the States as well as in frequent ministry trips to Ethiopia and Africa. 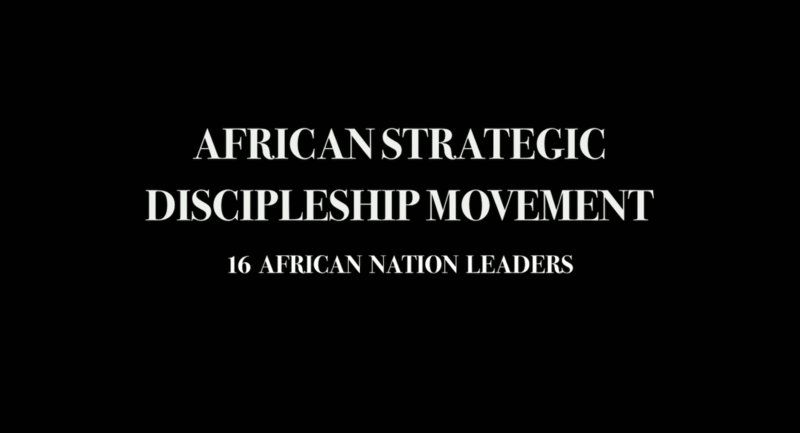 J.P. Gradone is the Director of Strategic Plannin for the African Strategic Discipleship Movement. After a successful 20+ years in Corporate America, God called J.P. and Cheryl into full-time ministry in 2003. During that time, J.P. served as Executive Pastor at churches in Florida, Alabama, and Tennessee before leading a faith-based non-profit in his home state of New Jersey. In May 2017, J.P. and Cheryl became SIM missionaries. J.P. has been serving as the Director of Operations for ASDM since that time while still living in the USA and traveling to Africa as needed. In June 2018, the first cohort of Disciple-making Leaders (DML’s) completed their 2 ½ year training in disciple-making and were leading an expanding disciple-making movement in their respective denominations and countries. On the heels of that, a new group of 16 DML’s began in February 2019. Yet, the DML’s from the 1 st cohort was still in need of help in building leadership teams and creating God-centered strategies for their perspective disciple-making movements. This need aligned so well with J.P.’s experience, calling, and passion. After much prayer, J.P. and Cheryl made the decision to help meet this need by making plans to relocate to Nairobi, Kenya where J.P. will work with the 1 st cohort DML’s to help build sustainable, African-led, African funded disciple-making movements in each DML’s respective countries. J.P. and Cheryl recently celebrated 40 years of marriage. They are the parents of five adult children who are all married and proudly boast of their amazing five grandchildren. Esayas Ersabo is the National Discipleship Director for the Ethiopian Kale Heywet Church. The Ethiopian Kale Heywet Church is the largest evangelical denomination in Ethiopia with eight thousand churches and eight million people affiliated with the denomination. Several years ago, Esayas initiated two denominational discipleship programs targeting both pastors and elders/church leaders. DMPT (Disciple-Making Pastors Training) currently disciples 3,000 pastors in a two-year program and DEL (Disciple Emerging Leaders) is reaching over 125,000 leaders throughout Ethiopia in a two-year program as well. Esayas and the Ethiopian Kale Heywet Church hosted the African Strategic Discipleship Summit in Addis which brought together 90 African leaders from 24 countries and 50 denominations that represented over 100 million African believers. Esayas’ vision and passion for mobilizing a movement of discipleship was birthed as an eighteen year old believer from a EKHC pastor’s family. Esayas lives with his wife Tsigi in Addis with their three boys and one daughter. Afonso Chinhama is the Discipleship Coordinator for the UIEA denomination in Angola. He came to Christ at around 12 years of age and was trained through the ministry of Youth for Christ, Child Evangelism Fellowship, Theological Education by Extension courses, and ISTEL Bible College in Lubango. He has served in the local church as Children’s Bible Club coordinator, Youth President, Church Secretary, and as a member of a pastoral commission. In the UIEA denomination, Afonso has participated in community development projects in war-time food distribution, reintegration of displaced peoples, and HIV/AIDS. Afonso also assumed the role of Discipleship Coordinator for the denomination in December of 2014. He is a member of SIM mission since 2013. Along with his passion to invest in people, he loves to work with his hands. The UIEA denomination celebrated its centenary in 2014, is present in 16 of the 18 provinces of Angola, and is divided into 6 administrative regions. The 734 congregations are primarily rural and many are led by lay leaders with little or basic Biblical education. Afonso is married since 2009 to Becky, a Canadian SIM Missionary. They have two daughters, Yva (2010) and Yolisa (2015 by adoption). They work together in ministry. Dr. Ernie Frey is an SIM missionary who has recently transitioned to the Houston area. Prior to that, he has served the last two years in Ethiopia as a Pastoral Ministries and Leadership Trainer, and partnered with Esayas Ersabo the National Discipleship Coordinator of the Ethiopian Kale Heywet Church (EKHC). The EKHC is the largest Ethiopian evangelical denomination with 8 million members and 8,000 churches. Prior to serving in Ethiopia, Dr. Frey earned his Ph.D in Missiology and served as a Senior Pastor of both a small church and a mega-church in the United States. Along with Esayas, Ernie coordinated the African Strategic Discipleship Summit and has a great passion for mobilizing a movement of discipleship in all nations. Ernie greatly desires to equip pastoral leaders and believes that intentional and relational discipleship led by pastors has the potential of greatly accelerating the fulfillment of the Great Commission. Ernie along with his wife Anne and three girls transitioned back to the States this past August and currently live in The Woodlands, Texas. Dr. Philémon Salam SABA is the pastor of ' Eglise des Assemblees de Dieu de Dassasgho and New life Assemblies of God Church in Ouagadougou, Burkina Faso. He is also a member of the Assemblies of God Burkina Board. He felt the need of a systematic discipling of believers as he believes with Dietrich Bonhoeffer that "Christianity without discipleship is Christianity without Christ". Dr. Saba PhD. thesis with Pan Africa Theological Seminary (PATHS) was entitled "The Need for Contextualized Discipleship Model for District IV in Ouagadougou ". He is in the process of implementing his findings in Assemblies of God Church in Burkina Faso. Pastor Caesar Magwentshu is 50 years old and is a former airman in the Zimbabwe Air Force. He has been in ministry for almost 17 years. He is Pastor in the Apostolic Faith Mission (AFM), a church which has almost 3,000,000 members. The AFM Zimbabwe has planted churches in Australia, U.K., Ireland, and other parts of the world. Caesar currently assists the denominational overseer as the Provincial Secretary of the Harare East Province. He also serves as the Provincial Head of Evangelism and Discipleship and is working at the national level with AFM President in the area of discipleship which he is introducing into the denomination. He is pioneering the Zimbabwe Discipleship Movement for the mobilization of discipleship through all the denominations in Zimbabwe. Caesar earned a Masters in Leadership from Pan-African University in Nairobi. He has Bachelor of Arts in Theology and a Diploma in Business. He seeks to pursue a doctorate later this year. He is a lecturer at Living Waters Theological Seminary and New Life Bible College. Caesar has a global ministry as he has taught leadership and preached in the Philippines as well as regular preaching in the United States. Caesar is married to Keziah, a powerful evangelist and preacher in Zimbabwe. He lives in Harare, Zimbabwe. Moheb Maher Kamel is from Egypt and is a pastor in the General Synod of the Churches of Grace, which has 35 churches and close to 5,000 members. He currently serves as an assistant pastor to Pastor Ayman Fahmy, the General Secretary of The Churches of Grace. Mohel holds a Bachelor of Arts in Philosophy from Cairo University, and a Bachelor of Theological Science from the Alexandria School of Theology (AST). He has served in evangelism crusades both inside and outside of Egypt. He has served for ten years as the director of discipleship groups. He has the vision to disciple new believers coming from unreached areas. He has been married for 20 years and has a daughter and a son. Rev Christone Munyeu is 51 years old and married to Doreen and they have five children - all boys. He is currently pastoring a local church of 300 members. He is the acting Regional Bishop of one of the six regions in the Evangelical Church in Zambia. He is also a member of the church’s national executive committee. Rev Munyeu attended the Theological of Central Africa (TCCA) in 1989 and graduated in 2001 with a Diploma in Theology before entering pastoral ministry. He is currently a candidate for Bachelor of Theology with Education at Justo Mwale University in Zambia. The Evangelical church in Zambia has more than 1,000 churches with more than 80,000 members. The denomination has two Bible schools offering qualifications up to the diploma level, two hospitals, one clinic, one book shop and six schools. Rev. Enoch Thompson is the Vice President (Ministries) of the Ghana Baptist Convention. He has a Diploma in Theology from the Maranatha Bible College, a Bachelor of Arts from the University of Ghana, a Master of Divinity from the Prairie Graduate School, Alberta- Canada and a Master of Philosophy from the University of Ghana. He has a passion for theological education, for training and mentoring young ministers, and so served as a lecturer at the Maranatha University College, Accra-Ghana, for thirteen years. He also served for sixteen years as Pastor of Messiah Baptist Church (of the Ghana Baptist Convention), Tabora-Israel, Accra. He has also worked as the Director of Christian Education and Church Development until his recent appointment to the Vice Presidency of the Ghana Baptist Convention. Discipleship Practices. Rev. Thompson is married to Mrs. Diana Thompson, and together they have four daughters. Pastor Mawande Mnotoza is the Disciple Making Leader on behalf of the Apostolic Faith Mission of South Africa. He was born again in 1982. In 1996 he attended the KSD Technical College where he studied electrical engineering. It was in 1998 to 2000 when he attended the Tembelani Bible College - a satellite of the AFM Auckland Park Seminary. He earned his Diploma in Theology and formally entered the ministry in 2000. In 2001 he was employed by Tembelani Bible College, where he served as a Lecturer and College Administrator. Since 2004 he was tasked with various ministries within the AFM including National Leadership Forum Member, Regional Leader, Deputy National Youth Director, Regional Youth Leader, Regional Secretary and AFM of SA Ad-hoc Committee member. In December 2015, he was appointed as the Disciple Making Leader by the National Office Bearers of the AFM of SA. In addition, Mawande is also the presiding pastor of the AFM All Saints Assembly. As a Pastor and National Leader of AFM Ministries, Mawande has broad national experience in coaching and mentoring team leaders, recruitment, training and mentoring leaders, social skills, compassion, understanding and empathy and being a servant leader, Pastor Mnotoza’s passion is to help the church return to its disciple making roots and he considers himself a discipleship coach. He has been married to Mandisa since September 2004 and they have three boys. He now lives in Mthatha, South Africa. In 2004 he attended a missionary college in Kenya for two years and was trained as a missionary where the Lord gave him the burden to the reach the unreached tribes in South Sudan. He started a missions organization called FRUITS ministries. Fruits is an abbreviation that stands for: Favor – Reaching – Unreached –Inland – Tribes - Sudan. He is actively working among the Toposa unreached group in South Sudan with other eight indigenous disciple-making families. After being in the field for six years, he traveled again to Kenya where he is pursuing a Bachelors of Theology at Africa International University in Nairobi, where he will graduate in June. James is currently leading both the Discipleship and Missions Departments of the Africa Inland Church of South Sudan. He enjoys working with hands, and can make house-hold furniture. He can survive anywhere by the grace of God given a chance to make disciples. His prayer is to do a research on all the unreached tribes of South Sudan for a better plan for disciple making. Augustin Bahaminyakamwe is the Director of Evangelism, Discipleship and Church Growth Department of the Free Methodist Church of Burundi. He came to Jesus 25 years ago (1991) and was trained in the Sunday school program. He was the responsible of students unions (Bible Groups) in primary school, in high schools and the National University of Burundi where he studied in the department of Applied Pedagogy-English. After university he worked in Harvest for Christ for 6 years where he successively was a head of Evangelism and Mission Program, an Administrative Assistant and an Administrative Director, before he went to work in the Free Methodist Church of Burundi. He did the Harvest Bible Training for two years to increase his theological knowledge. The Free Methodist Church is present in all the 18 provinces of Burundi with its headquarters in Bujumbura the capital city of Burundi. Augustin is married since 2011 to Mediatrice with 2 children, a son named Bright and a daughter named Brisa. Rev. Anthony K. Bones is an ordained minister with the Africa Gospel Church (AGC) -Kenya. He currently serves as the senior pastor at Good Shepherd Church in Nairobi, one of the larger congregations of AGC. He also serves on various boards and councils within the denomination. Anthony was part of a team that initiated a discipleship programme for university students a few years ago that has now been adopted by several major public universities in Kenya. He is married to Edith and they have three children: Sierra (7), Leroy (5) and Renee (1). They live in Nairobi. Rev. Dr. Warren Manso Fornah currently serves as Dean of Student and Spirituality, at the Evangelical College of Theology in Freetown, Sierra Leone, where he represents the Wesleyan Church of Sierra Leone. He has served as Director of Evangelism, Missions and Church Growth for many years in the Wesleyan Church of Sierra Leone, and currently serves as National Coordinator of the Jesus Evangelistic Film Project in the mission. The Wesleyan Church of Sierra Leone is one of the oldest evangelical denominations in the nation, having over two hundred churches, hospitals and schools across the nation. Rev Warren earned a Bachelor of Arts in Theology (Hons) and Masters of Divinity from the West Africa Theological Seminary in Lagos, Nigeria (2001-2006). He also earned a Doctor of Ministry from the Bakke Graduate University in 2012 in Seattle, Washington. Warren's strong desire is to help strengthen the Wesleyan Church and other church denominations in Sierra Leone, through meaningful evangelism and relevant disciple making programs, which is the heart beat of God. Warren, and his wife have two kids a girl and a boy and reside in Freetown, Sierra Leone. Miguel Martins, was born in Mozambique in 1958, and spent his childhood and youth there until 1977 when he moved to Swaziland with his parents due to the devastating civil war that was taking place in the country. He completed his primary, secondary and high school in Mozambique then his chemical engineering degree while in Swaziland. Miguel also worked in two chemical companies, namely Swaziland Chemical Industries and Beral Swaziland. He surrendered his life to Christ in 1982 then pursued theological training through the Assemblies of God Theological College, through ICI courses, and then AOG pastoral Seminary. In addition to these formal degrees, he also completed Dr. Vernon McGee’s Through the Bible course. Miguel was called and ordained as a pastor in 1986 by AOG of South Africa, Zululand, where the Swaziland church was affiliated. He pastored Portuguese speaking churches in Swaziland for 23 years, mainly among Mozambican refugees. In 2004, the family moved back to Mozambique, where he has been working with Trans World Radio in Manzini, Swaziland, as a translator and translating material coming from the USA into Portuguese for Christian radio outlets. He is based in Mozambique, as the Recording Director and his wife Monica was the Recording Technician, who was trained in the USA, working in partnership with a Christian organization called Hosanna, based in New Mexico, USA. Since 1999, he has recorded the Bible in different languages in audio digital multi-voice dramatized format around Africa for FCBH listening projects. He has also recorded the Bible and portions translated by different translating organizations, such as Wycliff, SIL, SIM, Bible Societies, and others. In total he has made recordings in 43 African languages, primarily from the New Testament. The completed product is then sent to the USA for the final studio processes and approval. Miguel has been married to Monica for 25 years and is blessed with three grown up girls already with two The President and the Senior Pastor of AOGC is, Pr. Luis Manuel Jeronimo, a very wise and humble man of God. The AOGC has 2054 pastors and more than 1000 congregations and family cells. It was birthed in 1925. The AOGC offers theological courses through the Master’s level in the capital of Maputo and basic level in the other ten provinces. The leadership of the AOG church are committed and eager to see the African Discipleship launch be successful in Ethiopia and the 16 appointed men of God bring back all the information to implement in our beautiful African countries for the Glory of God. Dagnachew Zewdu is head of Church Growth and the Pastoral Care Department on the national level for the Ethiopian Full Gospel Believer’s Church, known in Ethiopia as Mulu Wengel – “Full Gospel.” The Ethiopian Full Gospel Believer’s Church is one of the largest evangelical and fastest growing churches in Ethiopia with 2,277 churches and 4.5 million people affiliated with the denomination. In addition to serving on the national level, he has served as a pastor for the 26 years in a local church. He has a Bachelor’s degree in Theology from the Evangelical Theological College (ETC) in Addis Ababa, Ethiopia. Dagnachew lives with his wife Genet in Addis with their three daughters and one boy. The Rev. Canon Capt. Titus Baraka is the Provincial Miss ions and Evangelism Coordinator for the entire Anglican Church of Uganda. He is a graduate of Western Theological Seminary, Holland Michigan USA. His education was focused in Missions and Evangelism, Theology and Counseling. He has a great passion to evangelize and disciple the youth.The Anglican Church of Uganda has 35 dioceses, 14, 000 Congregations with a membership of about 13.5 million believers. The Vision of the Church of Uganda is a Christ Centered Church equipped for transforming mission among people. The Mission Department exists to equip the local church for effective mission and evangelism. Capt. Titus Baraka is also the Executive Director of a radio Gospel broadcasting ministry called “Words of Hope Uganda”, broadcasting in 12 different dioceses in 14 languages across the country of Uganda and South Sudan. He also has a personal discipleship ministry team called “Bethesda Ministries Uganda” for Mentoring, counseling and discipling young people involving them in various Gospel out reaches to schools, prisons, hospital and to communities. Pastor Robert Emeka Agbahia, a Nigerian, is a senior pastor in Charismatic Renewal Ministries (CRM). CRM has over 600 church centres all over Nigeria and branches in South Africa, Cameroon, Ghana, Liberia, Sierra Leone, Benin Republic, Togo, Tanzania, USA, England, Canada, and Germany. Often called, pastor Robby, he is a member of CRM General Core Group, the apex leadership of CRM worldwide. He is the Regional Overseer of CRM in the middle belt States, including the Federal Capital Territory, Nigeria. He is the Deputy National Chairman of the Board of Great Harvest Theological Institute (GHTI), operated by CRM for training church leaders. He also lectures part-time in the Institute. He is recognized as a Pastor-Discipler. He was CRM State Overseer for 17 years in Kano state and produced good leaders, five of them serving as state overseers in CRM. He produced five series on discipleship with study manuals and these resources are used in many churches today. He is the Chairman of a National CRM committee for producing discipleship study manuals for CRM worldwide. He participated as a Nigeria delegate at the inaugural African Strategic Discipleship Summit held in Addis in January 2013 as well as the 2015 Continental Discipleship Summit in Ethiopia. He has Bachelor’s Degrees in Microbiology and Medical Virology, Diploma in Christian Ministries, and a Masters in Christian Leadership from West Africa Theological Seminary (WATS) in Lagos. He is presently completing his Doctor of Ministry degree in Pastoral Theology at Jos ECWA Theological Seminary (JETS). He lives in Abuja with his wife and four children all of whom are actively involved in the ministry. He and his wife are the senior pastors of CRM Solution Centre, Nyanya Abuja. Rev. Samuel Gakpetor is the Regional Coordinator and Trainer for the African Strategic Discipleship Movement. He also serves as a pastor of the Church of Pentecost (CoP), the largest Pentecostal Church and fastest growing denomination in Ghana with 84 branches worldwide. He is a member of the National Bible Study & Cell Committee of the CoP which is responsible for implementing the Discipleship agenda of the CoP. As a committee member, he is responsible for coordinating training of pastors and cell leaders across the country and also developing discipleship materials for use in the Church. He is also serving as the resident pastor of Pentecost International Worship Center-Kasoa, (an English Speaking Ministry of the CoP). He has served as the National Coordinator of the Pentecost Students and Associates, the student wing of the Church. Sam has a passion for discipleship and has been involved in initiatives to move the CoP to become a full disciple-making denomination. He has two Bachelor’s degrees (Bachelor of Arts in Theology from Pentecost University College & Bachelor of Education- Science Education from University of Cape Coast), a Master’s Degree (Theology & Mission) from Akrofi Christaller Institute of Theology and Mission, Akropong. He is currently pursuing a Doctorate degree with the South African Theological Seminary on the topic; Towards an Intentional Cell-Based Discipleship in The Church of Pentecost in Ghana. He is married to Grace and together have four sons; Elorm, Edem, Klenam & Barima Opoku.